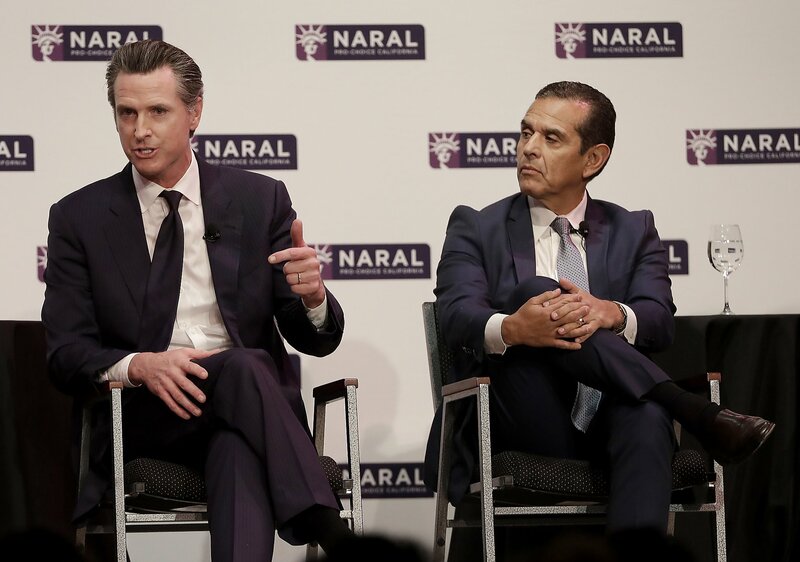 IMAGE 1 OF 18 Democratic candidates for California governor Gavin Newsom, left, speaks next to Antonio Villaraigosa at a NARAL Pro-Choice California event in San Francisco, Tuesday, Jan. 30, 2018. With six weeks to go until the June 5 primary, a new poll suggests that it's a three-man race to be the next governor of California. A poll of 520 likely primary voters released by SurveyUSA and sponsored by KABC-TV Los Angeles, KFSN-TV Fresno, KGTV-TV San Diego, KPIX-TV San Francisco and the San Diego Union-Tribune found that Gavin Newsom, Antonio Villaraigosa and John Cox are all within 6 percentage points of one another. Newsom led the field with 21 percent of the vote, but was followed closely by fellow Democrat Antonio Villaraigosa with 18 percent. Republican John Cox came in third with 15 percent, and was followed by fellow Republican Travis Allen at 10 percent and Democrat John Chiang at 9 percent. No other candidate received more than 5 percent support; 17 percent of the poll's participants were undecided.